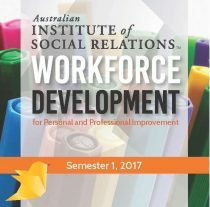 This year we are pleased to bring you new workforce development options as well as a masterclass with Dr Laurie MacKinnon for counsellors, psychologists and mental health professionals. Places are limited and filling fast – book online now. A two-day workshop for counsellors, psychologists, social workers and mental health professionals presented by Dr Laurie MacKinnon. Learn how Radical Exposure Tapping (RET) can be used quickly and effectively to resolve memories of disturbing events that fuel PTSD, anxiety, fears, emotional reactivity and patterns of escalating conflict. For more information or to enrol, click on the links below. To view our Semester 1 Training Calendar click here. Study from anywhere in the world with our suite of online learning programs specifically designed for the community services, health, family law and human services sectors.